Vikram’s interview to a popular Tamil magazine states that both Ajith and Vijay have the capacity to be the next Superstar of Kollywood. The actor pointed out that several of Vijay’s films have been a huge success in the past. Speaking about Ajith, he said that the actor has a charming appearance just like Shah Rukh Khan. 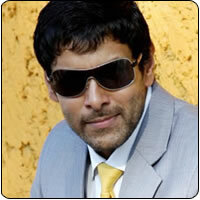 Hence both of them are eligible to race for the next Superstar spot, said Vikram.